Premium Outlets have finally arrived in Canada! Actually it’s located ten minutes away from where I live in Halton Hills which is very exciting and dangerous! I waited until school started and for the crowds to calm down before venturing out to shop. I think my favourite store has to be the Restoration Hardware outlet. 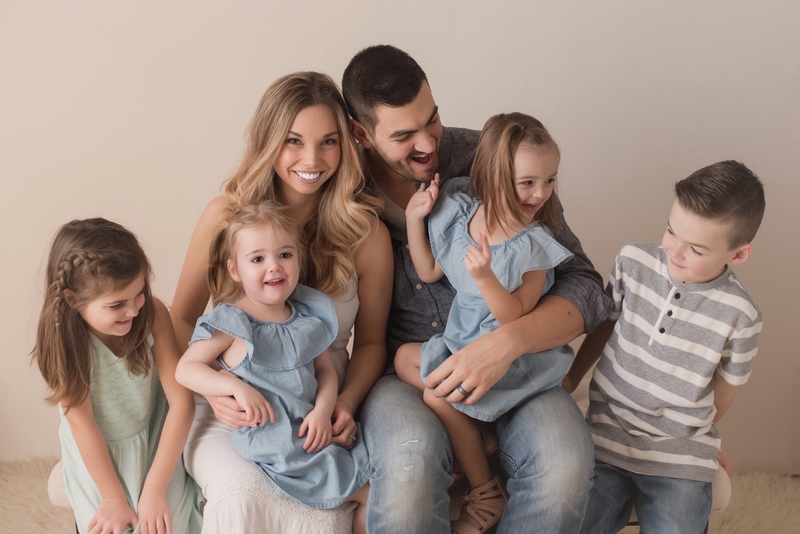 There is not a ton of items from their Baby and Child line but the few I found were gems that have been significantly reduced from it’s original price. Here are a couple of these finds; oh and don’t worry, I will be there often and keep you updated on what has come in! 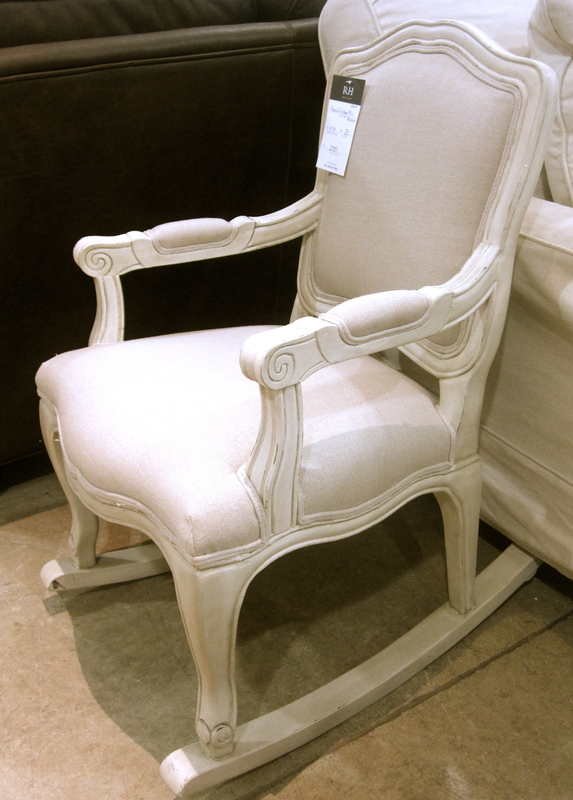 This French Vintage Mini Rocker was originally $479.00 and is now $335.00. 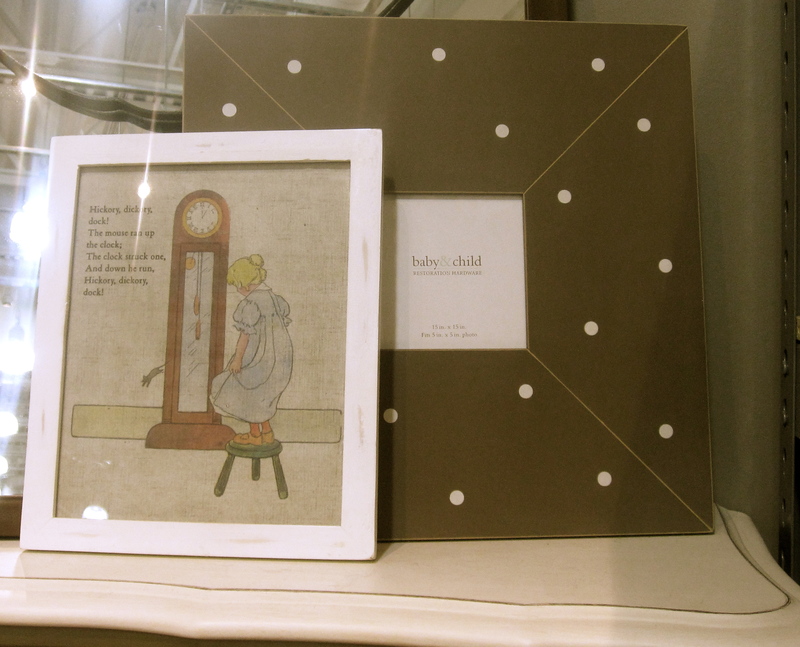 The Restoration Hardware outlet also had a variety of reduced children’s picture frames and artwork. 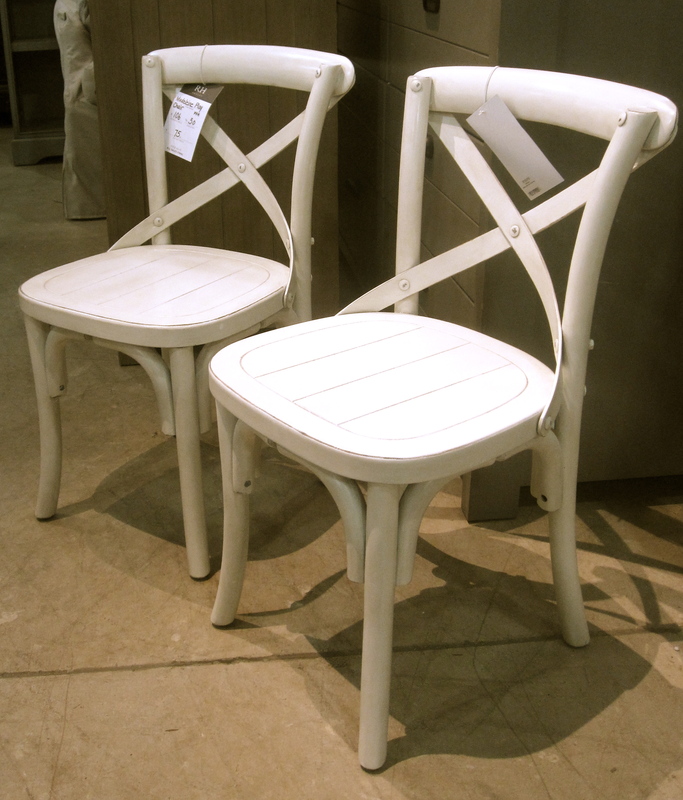 These Madeline Play Chairs were originally $106.00 and are now $75.00 each. 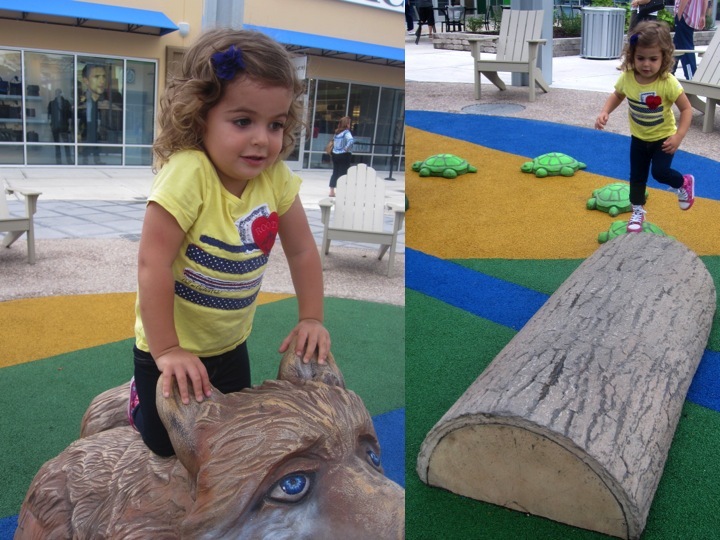 There is also a great play area that I use as a “carrot”… mommy gets to shop and at the end Beau can play. This has saved me a lot of money. I can tend to fall into the “okay fine, I will buy you that if you are good” trap. 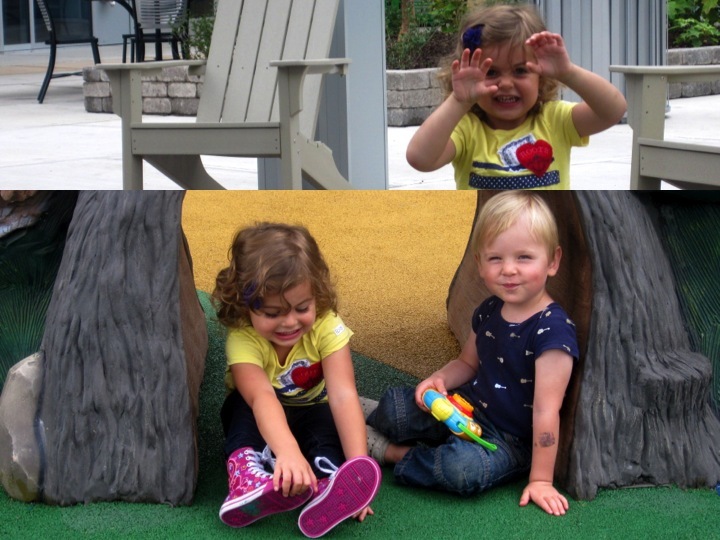 Beau even brought her friend Lucas with her and they had a blast!